Visit Somerset County in mid-March and you’ll hear it everywhere — you’ve got to see it in the summer. That’s when Confluence, population 834, really comes alive. 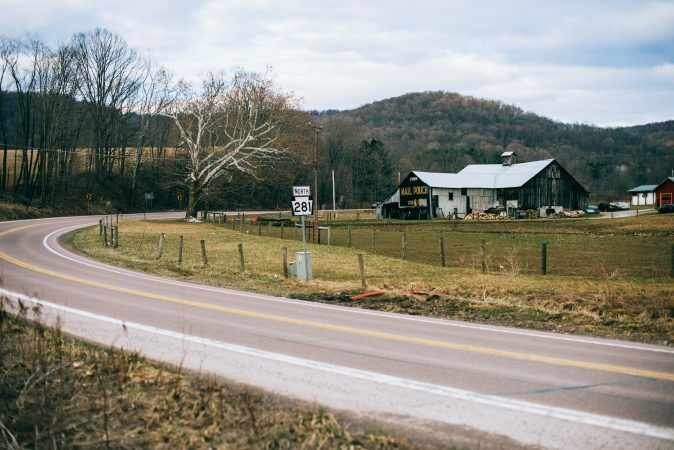 The bed and breakfasts are booked with cyclists making their way along trails that stretch into Maryland and West Virginia. Scenic views and some of the best whitewater rafting in Pennsylvania abound. Frank Lloyd Wright’s Fallingwater is just a stone’s throw away. But it’s a place with another, less proud, distinction — home to one of the lowest-paying school districts in the state. Bounded by state game lands and the wrinkled curves of the Casselman River, Turkeyfoot Valley Area School District covers 100 square miles, but it has just one school. All 321 students — elementary, middle, and high school — learn in the same H-shaped building. “Excellent and proud of it” is the school’s motto, and it’s blazoned on the wall of Jody Gary’s classroom. 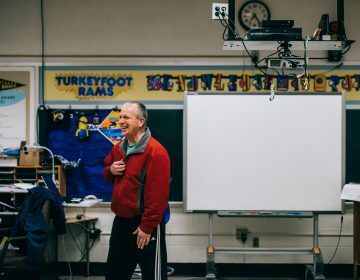 He’s been teaching math and science in the district for 27 years. When he was hired in 1992, his starting salary was $18,500. “With college loans and living expenses, it was a struggle at first,” Gary said. 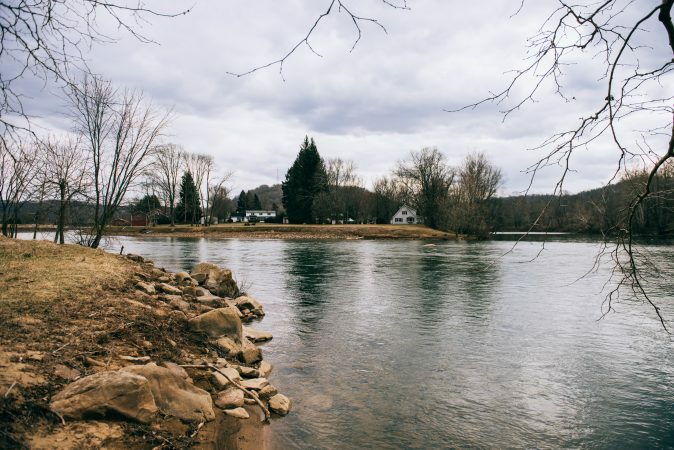 Both Confluence and Turkeyfoot are named for the place where the Youghiogheny and Casselman Rivers converge with Laurel Hill Creek, forming a three-pronged ‘Y’ that looks like a talon and gives the area its lifeblood. But in winter, after the tourists leave, the bike shop closes, and so do most of the restaurants. The school, with 64 staffers, is the biggest employer in the immediate area. Gary has seen his salary go up over the years, but that $18,500 remains on the books as Pennsylvania’s legal minimum teacher salary. Schools aren’t actually hiring teachers at that rate, according to the state, but some are close. 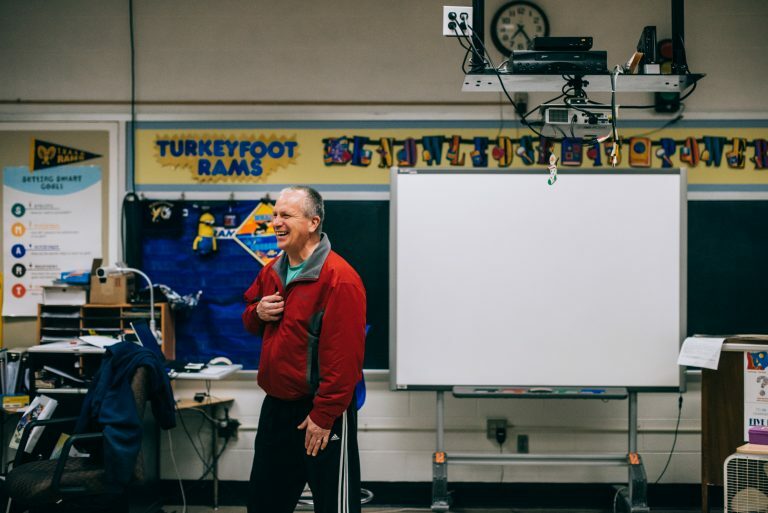 Turkeyfoot, which has started teachers at $22,000, is one of five districts in the state where the average teacher earns less than $45,000. But a new proposal by Gov. Tom Wolf would change that. 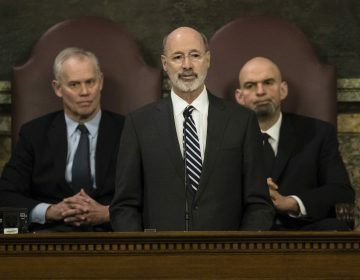 In one of the signature policy priorities Wolf laid out at the start of his second term, the governor called for a new $45,000 baseline for teacher salaries in the state. “Our government has failed to address this injustice,” Wolf said during February’s budget address. On average, classroom teachers in Pennsylvania make around $67,000 a year. If the governor’s proposal goes into effect, more than 3,000 teachers around the state — many in rural districts like this one — would see their paychecks go up. But as much as some in the state are lauding the proposal as a move toward fairness, others are challenging it as a step away from equity. The proposed funding is not tied directly to objective measures of student need, and some educators elsewhere in the state feel slighted. Talk to parents around Turkeyfoot, and they’re well aware low pay is an issue. 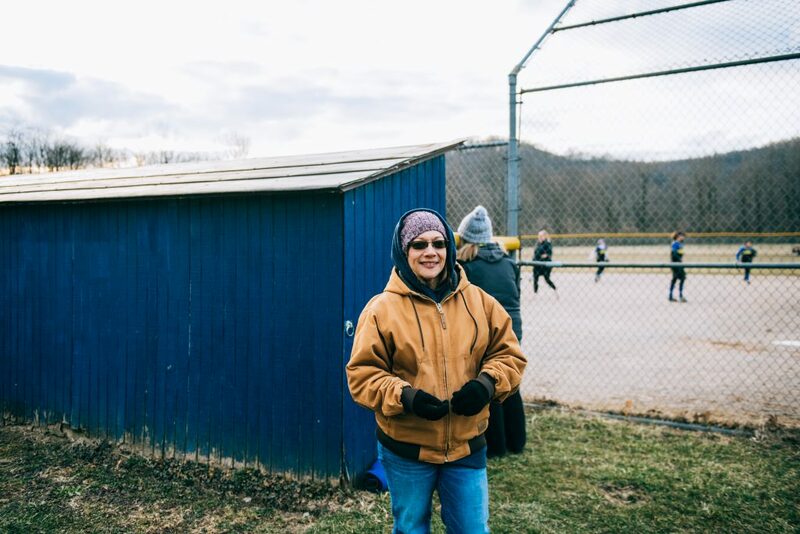 “I think it would be great if we raised the salary in Pennsylvania for all the teachers,” said Amy Wilt, a Turkeyfoot alumna watching on the sidelines of her daughter’s softball game. Asked if she thinks someone could get by on $22,000 here in Confluence, she balks. 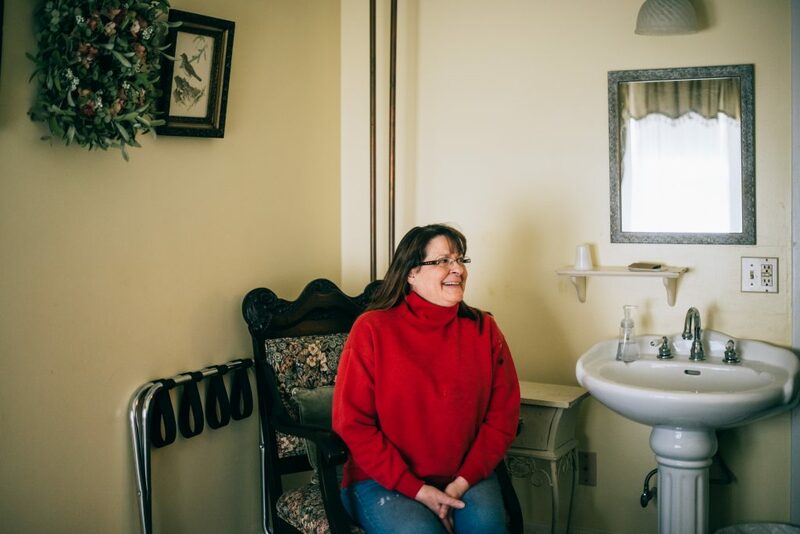 Sandy Youngkin owns a bed and breakfast in Confluence, and she considers the town a hidden gem. She proudly spools off all the nearby opportunities for hiking, kayaking, and fishing. But when it comes to education, Youngkin didn’t stay local. She sent her daughter up the valley to Rockwood Area School District. Youngkin felt the educational offerings were better, and she didn’t like how she saw Turkeyfoot spending its money. “I do not believe that a $22,000 starting salary is fair for someone who’s in charge of educating your children,” she said. Wolf’s proposal is about more than paying teachers a living wage. At current salaries, some districts say they struggle to attract and retain qualified educators. 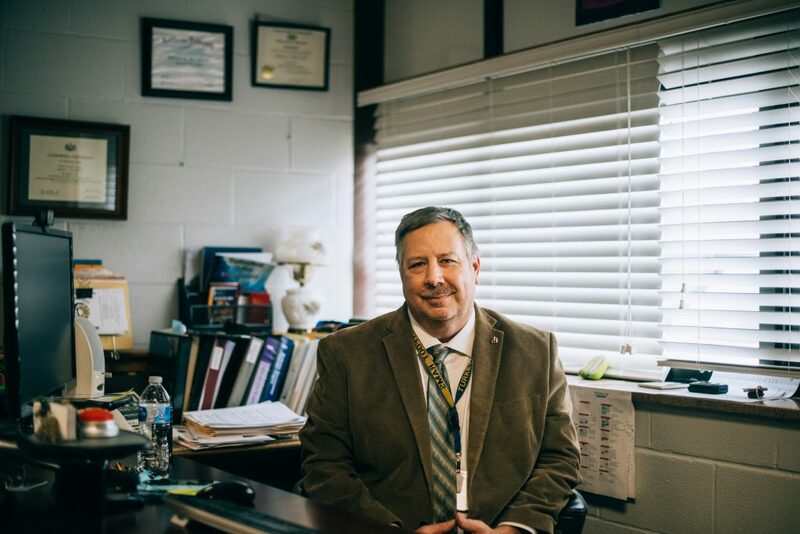 In Turkeyfoot, Superintendent Jeffrey Malaspino said at least a dozen teachers have left in search of higher salaries. 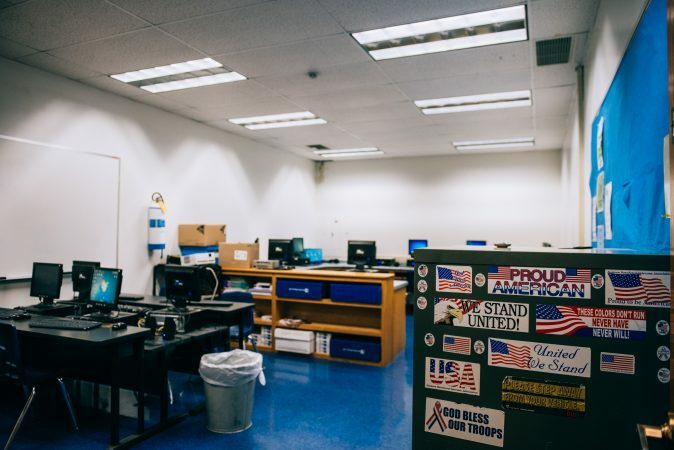 A few years ago, the school wanted to hire a technology education teacher for a curriculum that introduces students to tech concepts in manufacturing, energy, and other STEM fields. 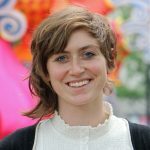 The nearby California University of Pennsylvania specializes in training exactly this type of educator. But when Malaspino got in contact, “They told me that all of their graduates were leaving Pennsylvania, going out of state, because there were just a ton of opportunities and the salaries are higher,” he said. The Pennsylvania State Education Association, the state’s largest teachers union and a major player behind Wolf’s proposal, said this is one reason raising the minimum is so important. The governor’s idea has bipartisan support. State Sen. Judy Schwank, D-Berks, and State Rep. Tarah Toohil, R-Luzerne, are sponsoring bills in their respective chambers. But there’s also been bipartisan pushback on the idea — evidenced by hearings in the education committees. Some of the biggest skeptics of the plan include educators and education advocates. Under the proposal, the state would cover the difference between a teacher’s current salary and $45,000. Wolf’s administration estimates it would cost around $14 million to do so, a number that includes benefits. Wolf, who calls it a fully funded mandate, said this plan wouldn’t cost school districts an extra dime. In Turkeyfoot, Superintendent Malaspino has a hard time believing that. As pension costs rise and teachers get their yearly raises, Malaspino worries that — down the line — the governor’s proposal will push local costs higher. And he thinks boosting the lowest salaries could have a ripple effect. Teachers at the higher end of the pay scale will push for more, and that cost would likely fall to local taxpayers, he said, not the state. Donna Cooper of the nonprofit Public Citizens for Children and Youth said that might not be a bad thing. 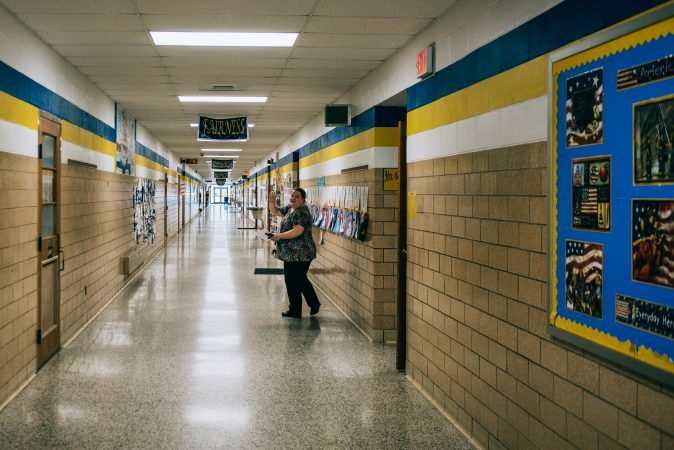 The way she sees it, many of the districts that would receive a lot of money under the teacher salary hike are already advantaged by the state’s current school funding scheme. Because of a policy known as “hold harmless,” many shrinking, largely rural districts receive more funding from the state than might be predicted by objective factors such as student enrollment. Turkeyfoot, for example, has lost 7% of its students since 2007, and yet received a 19% increase in basic education funding per student over that same time. The state is trying to rectify those inequities with a new funding formula, but it only applies to new education dollars. From the standpoint of education equity, Cooper believes any new state investments in schools should go through that student-weighted formula. 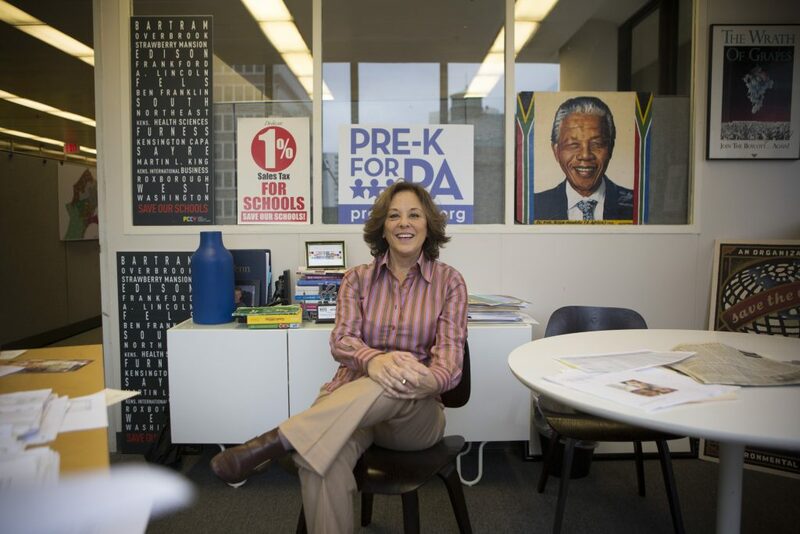 By giving out funding based on educator salary levels instead, she said the proposal wouldn’t benefit the schools that need the most state support. The interactive slider map below shows how the state’s 500 school districts would fare comparing distributions through the governor’s salary plan and the student-weighted funding formula. Under Wolf’s proposal, for example, Turkeyfoot would receive almost $420,000 to raise teacher salaries. If $14 million were routed through the formula instead, Turkeyfoot would receive a lot less — under $4,000. Even though Turkeyfoot is a poor district with a small tax base, it also has a very low tax rate, the second lowest in the state. State data shows the district would not be as hard pressed as other poor districts in the state to raise taxes to cover a salary hike on its own. York City School District is an example of a district that Cooper and other equity advocates say the state should prioritize. The district is poorer than Turkeyfoot, but it has the third highest tax rate in the state. But York wouldn’t receive any money for teacher salaries under the governor’s proposal. If the money went through the funding formula instead, the distressed district would receive $250,452. Other poor districts that wouldn’t receive any money under the Wolf proposal include Harrisburg, Wilkes-Barre, Allentown, and Philadelphia. Proponents of Wolf’s plan say it’s the best way to ensure that educators see a difference in their paychecks. Money received through the state formula can be used by districts as they see fit, and school boards may be more likely to use it to defray the rapidly rising costs of pensions, health care or charter schools. Although funding isn’t tied to student need, PSEA says raising teacher salaries helps students because it will decrease teacher turnover. J.J. Abbott, a spokesman for Wolf, said the governor is committed to the fair funding formula — as evidenced by his request for an additional $200 million in basic education funding. Larger school funding equity concerns aside, Wolf’s salary proposal has drawn other criticism. 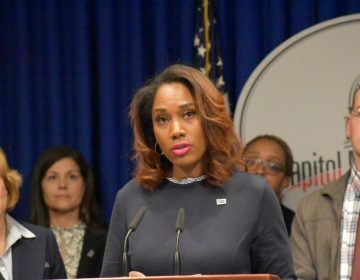 “Obviously if you live in Beaver County as compared to Pittsburgh or Philadelphia, the cost of living is going to be quite different,” said Roat, who’s also a member of Philadelphia’s Caucus of Working Educators. The median cost of renting in Confluence, the largest town in the Turkeyfoot Area School District, is about $582, according to census data. In Philadelphia, the monthly median rent is nearly double that, $970. But these differences don’t factor in Wolf’s proposal. A plan that would provide salary relief to teachers who struggle the most with their finances would favor a very different set of state school districts. In conjunction with Research for Action, Keystone Crossroads ran an analysis to better determine which teachers in the state are most in need of a salary increase. Using an adjustment for regional cost of living, we found that $45,000 equates to $41,701 in Confluence. In Philadelphia, that same $45,000 is like $51,001. In other words, the same dollar doesn’t go as far in Philadelphia as it does in Confluence. If the state were to use this logic to determine which teachers to favor, Turkeyfoot would still benefit, but Philadelphia would suddenly rise to the top of the list. There, 562 teachers in the district make less than $51,001 and it would cost over $2 million to cover the difference. In this hypothetical, the other districts where teachers would benefit the most include the poorer ones of Upper Darby, Reading, Coatesville and Allentown, but also Central Bucks, Haverford and wealthier districts. For Roat, the ideal salary proposal would include cost of living considerations and a predictable raise schedule. The Wolf administration said it would be willing to consider alternative proposals. 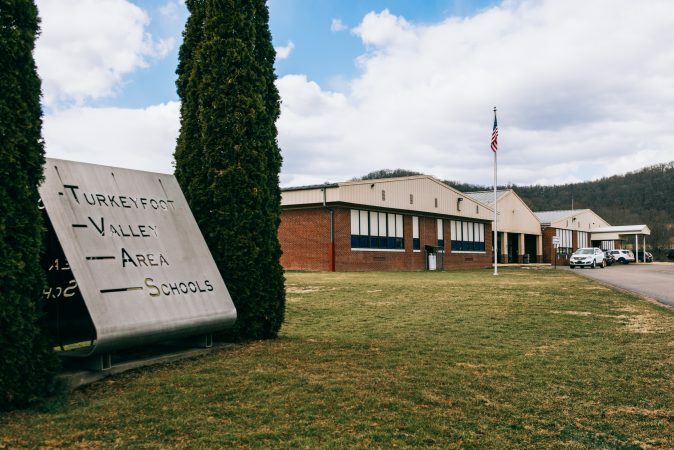 For Turkeyfoot and other smaller school districts, some see another way to raise salaries without adopting the governor’s proposal or dramatically increasing taxes. “We don’t have a huge tax base. We have a small town. That makes a big difference in what they’re able to offer a teacher here,” said Youngkin, the bed and breakfast owner in Confluence. This is her husband’s hometown, but before they moved back a few years ago, Youngkin worked as a school administrator in Maryland, where the state has only a handful of school districts. Instead of the governor’s proposal, Youngkin wants to see small, rural districts such as Turkeyfoot do the same. Former state Rep. Tim Mahoney proposed consolidating Turkeyfoot with the neighboring Salisbury-Elk Lick District before he was unseated in 2016. 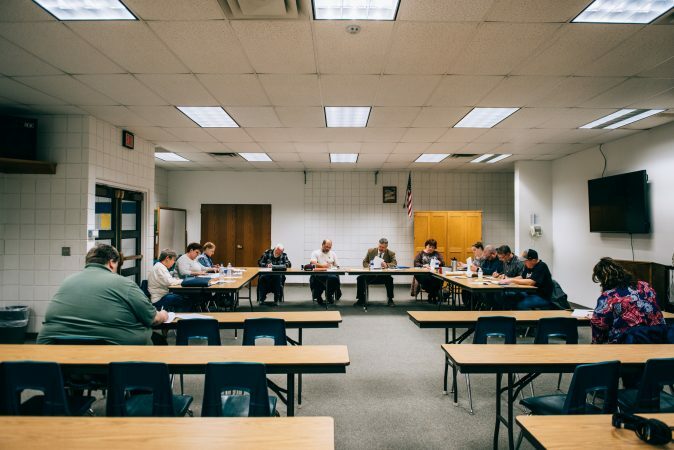 Studies have shown that for small schools with populations around 300 — like Turkeyfoot — consolidation could cut administrative costs by about 20%. Residents hope that could not only provide funding for increased teacher salaries, but also improve educational offerings. 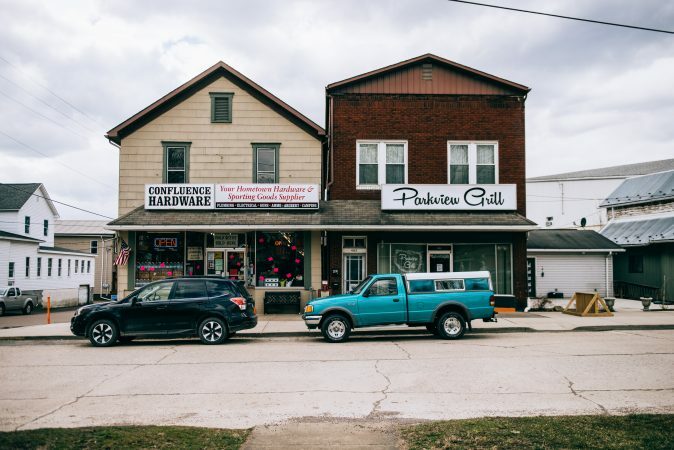 Consolidation has long been a dead-end idea in Pennsylvania, in part because of voters pushback. In his 2009-2010 budget speech, then-Gov. Ed Rendell proposed eliminating 400 school districts out of the state’s 500 in order to cut costs. The idea sparked deep anxiety in the state’s smaller districts, and it was instantly scrapped. But Amy Wilt, an alumna of Turkeyfoot who has one child in the school and another graduate, says she’d like to see consolidation too. “The size is getting way too small. We’re losing all options for sports. We have no options for advanced classes, any of that,” she said. And, she knows, the district may be losing out on quality educators. Bridgette May has a salary under $45,000 a year.